Samsung will hold its next Galaxy Unpacked events on February 20 in San Francisco and London to unveil the next iteration of its popular Galaxy S smartphone range. The company is widely-tipped to unveil three models, including a new more affordable Galaxy S10 E, as well as successors to the Galaxy S9 and S9 Plus. As you'd expect with a new flagship smartphone, Samsung will purportedly pack its new devices with a truckload of new technology, including an ultrasonic fingerprint scanner embedded beneath the curved glass display. That doesn't come cheap, and if the latest rumours are to be believed, you won't have long to raid your coffers after the curtain closes on the Galaxy Unpacked event later this month. All three handsets are rumoured to sport a new all-screen Infinity-O style display with a small circular cut-out in the top right-hand corner to house the front-facing camera. This allows the AMOLED panel to bleed to the very edge of the handset. Samsung is also planning some serious upgrades to its cameras, sources say. Galaxy S10 E will have a dual-lens camera, while the rest of the range will have three. The priciest Galaxy S10 Plus will couple that with a dual front-facing camera system, too. This will enable artificial, adjustable bokeh-style blur behind the subject of a photograph from the front-facing camera. This feature was added to the rear-camera with the Galaxy S9 Plus last year. 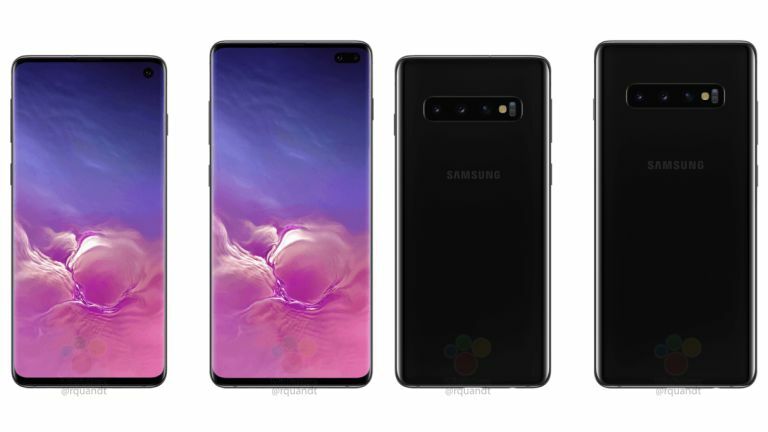 According to SamMobile, Samsung will launch pre-orders for all three Galaxy S10 models just one day after its Galaxy Unpacked announcement. That's much faster than last year when Samsung held its Galaxy Unpacked event on February 25, and didn't kickstart pre-orders for the devices until March 2, 2018. Previous whispers suggest the Samsung Galaxy S10 release date is set for March 8, 2019. That's the date when pre-ordered handsets will start dropping through letterboxes, and customers will be able to walk into stores worldwide and pluck a shiny new Galaxy S10 off the shelf. SamMobile points to Twitter user @rznaufal, who has obtained a promotional poster for a Galaxy S10 launch event in Indonesia, which reveals the latest information. The official poster claims that "pre-order starts 22 February 2019". If that seems to contradict everything that we've written above – hang on! Galaxy Unpacked takes place at 2am on February 21, 2019 in Indonesia because of the time difference. Galaxy Unpacked starts at 11am in San Francisco, and 7pm in London. It follows that pre-orders will launch on February 21, 2019 in the UK and the US.